Whether you’re celebrating a birthday, a graduation, a wedding, a baby, a corporate event, a retirement, a holiday, or someone’s special achievement, nothing says, “You’re important and appreciated,” like custom cakes, cupcakes, cake pops, or other sweet treats. Over the last eight years, we have helped customers like you celebrate just about everything. Seriously, we even made a space rocket cake for a aerospace company once! 3 Sweet Girls Cakery is about more than food. We’re about family and friends coming together to make a big deal out of something that truly matters. We’re glad you’re here on our site and we would love to help you dream up a unique and delicious dessert for your next special occasion! If you’re ready to get together on something special, CLICK HERE to tell us what you want and need. 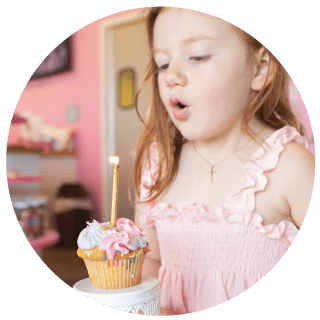 Make a birthday extra special with a custom cake, cupcakes, cake pops, cookies or other treats! Celebrate the graduate in your life with the perfect dessert display! Check our our gallery for ideas. 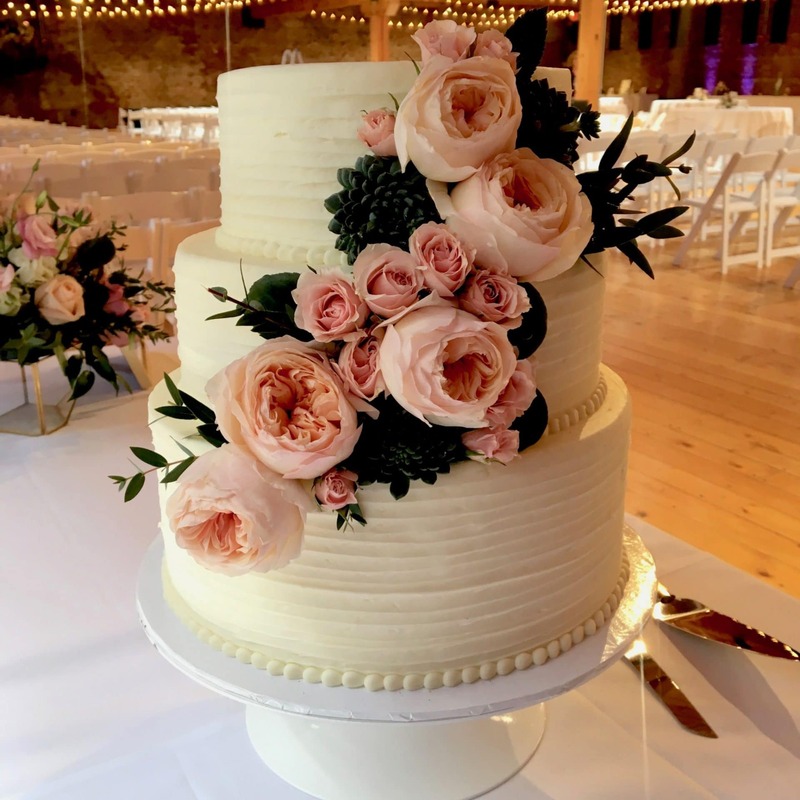 We love being a part of your big day by designing special wedding cakes, cupcake displays and dessert tables with a personal touch! 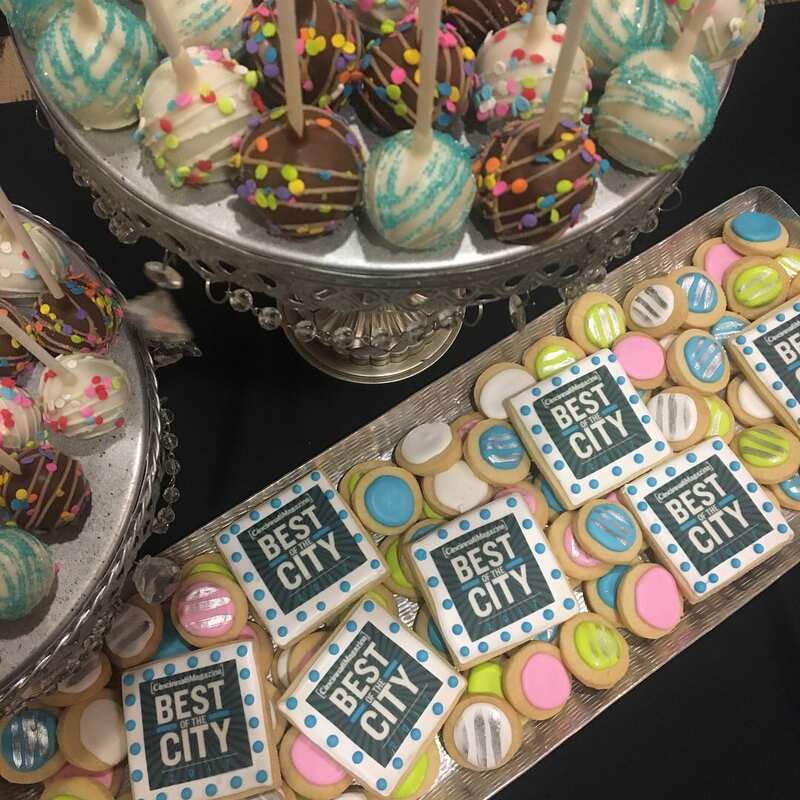 Logo cookies, cupcakes and cake pops make the perfect corporate thank you gift or treats for your company party! We make special desserts for any and every holiday that you celebrate! Sending a sweet treat is the perfect way to thank friends, family, doctors, nurses, nurses, employees or clients!